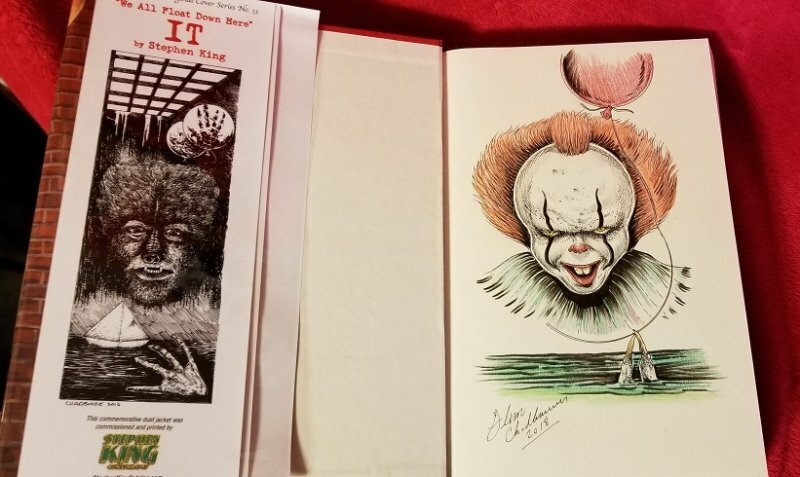 IT - REMARQUED 1 of 200 Signed, Numbered, and Remarqued Original Artist Copies. 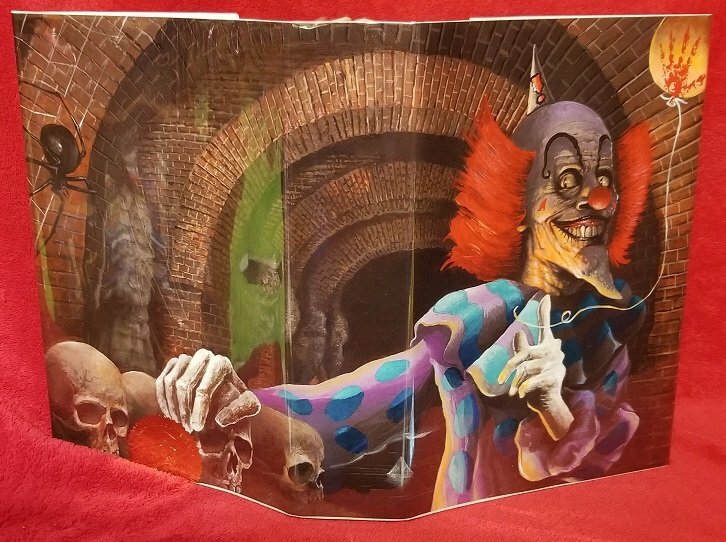 Original Remarque and Signed Edition by Artist Glenn Chadbourne. Image in photos is for this copy, in stock and ready to ship. This edition features original color artwork by Glenn Chadbourne on the whole front endpage or title page, from top to bottom, of this copy. This is original color artwork for each edition ordered with subtle ideas incorporated into every edition to make your copy unique. Mr. Chadbourne takes time with each and every art Remarque he produces and this makes your copy very unique. Mr. Chadbourne also personally signs and dates each completed piece on the Remarque page. 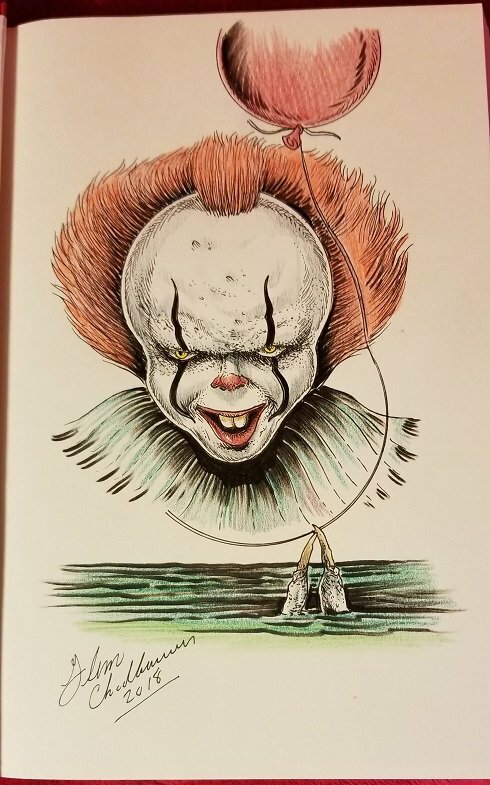 personally drawn on an interior page by Glenn Chadbourne - in color! 1 Of 200 Copies. Signed & Numbered by Glenn Chadbourne. Each copy is "embossed" with an original self-portrait art stamp created by Mr. Chadbourne on the title page of the book. The number of each copy is featured within Glenn's "eyes" - see image for the example. Each copy also features the same embossing with a gold seal to complete authentication for the series. You can also see an image of the gold-foil embossed stamp here for an example. 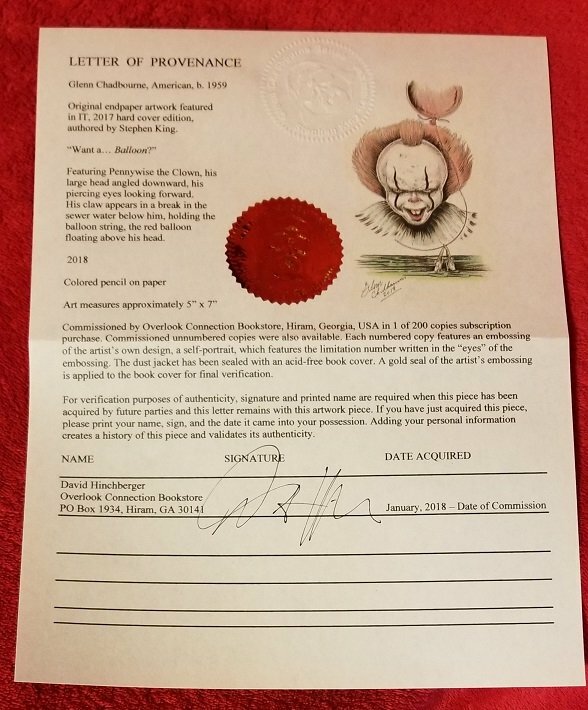 A Letter of Provenance, unique to each copy, accompanies every sale that certifies the authenticity and origin of your original remarque. 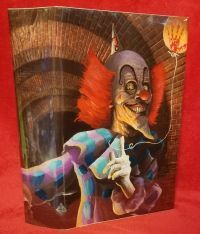 Hard cover copy of IT - 2017 Hardcover Edition. Free acid-free book cover on your copy for complete protection. 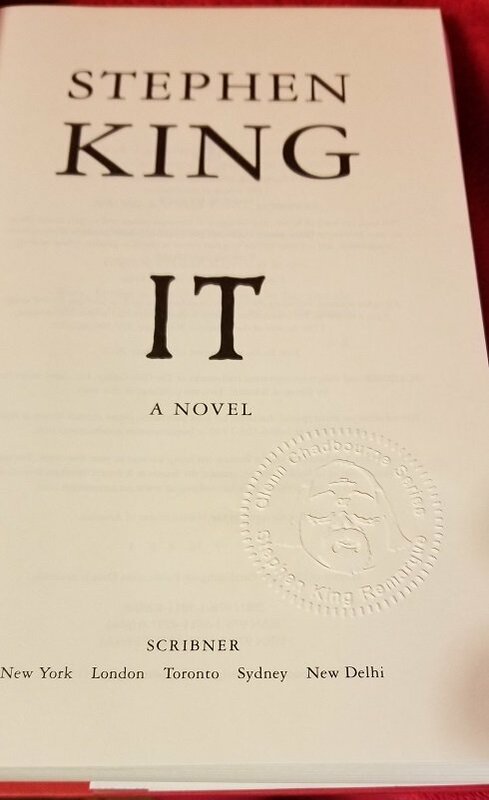 You can order the NEW King Cover, No. 13 in the series, as seen featured in the picture for this item. Just look in the NEW KING COVER SERIES under the Glenn Chadbourne category, Look for NEW KING COVER No. 13. These are personally drawn special orders and no discounts are available for this item. Sealed upon receipt here and packed well for delivery in a box. Hard cover with original remarque. Subscribe and receive the SAME NUMBER for each unique Stephen King Remarque edition artist Glenn Chadbourne produces. Each copy is unique and personally HAND DRAWN on YOUR COPY! To Subscribe please put “Subscribe Chadbourne Remarque’s” in your memo when you check out and we will confirm your order and exclusive number in the series, and notify you when the next book is ready for shipment.